Babylon Berlin Stream searched? The TV series may be - it goes to one of the three directors Tom Tykwer - with productions such as The Sopranos, Mad Men or Breaking Bad measure. More here! 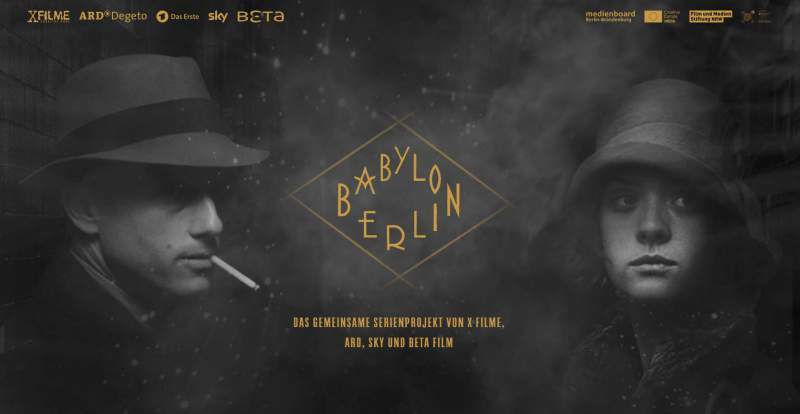 First the bad news: (some of which have taken over the public broadcasters around twelve million), despite production costs of approximately 40 million Euro runs Babylon Berlin initially exclusively on the pay-TV broadcaster Sky (which only five million to the cost of production contributed) , Subscribers could it go, watch the highly acclaimed series after the download of Sky Go for Android or iOS from 13 October on the smartphone or tablet. So the license fee payer is initially empty-handed. However, it says on the official website for the series that the free TV premiere will be broadcast in the First end of 2018 - more than a year after the premiere. Whether worth the wait or you should still pick up the Babylon Berlin Stream on Sky, we'll tell you here! Based on the detective novels by Volker Kutscher is a record series a total of 16 episodes of 45 minutes, playing at the legendary Berlin of the twenties. The current coming from Cologne Commissioner Gereon Rath to solve crimes in the cesspool Berlin, while the viewer gets served on a silver platter the historical facts of the Weimar Republic. Although the reviews after the first two episodes were full of praise and were reminded not to Caligari, Nosferatu and Dr Mabuse, the series appears (at least in the early episodes) but overall, very stiff. Dimensionally acting scenes actually reminiscent of the Cabinet of Doctor Caligari - but not in a good way. The whole exercise can be summed up in a word that is felt in every scene (of the story to implementation): over-ambitious. The delusion to do everything right, has left nothing organic, non-living or Sparkling left. Everything remains cliche mask and a cheap copy of the series with which Babylon Berlin can keep up loud Tykwer. However, the Babylon Berlin Stream definitely worth it for one reason: With the actors Volker Bruch (Gereon Rath), Liv Lisa Fries (Charlotte Ritter) and numerous other well-known actors like Lars Eidinger or Hannah Herzsprung is the crew completely successful. Even if the characters know no particular depth within the plot, it creates the crew in front of the camera yet, giving them a life and credibility. But do better for yourself and watching the show - either currently on Sky or a year in the ARD.